An officer who police initially said was shot in San Francisco’s Mission District on Saturday afternoon by a suspect who later led police on a high-speed chase may actually have been wounded by a fellow officer, a police spokesman said today. 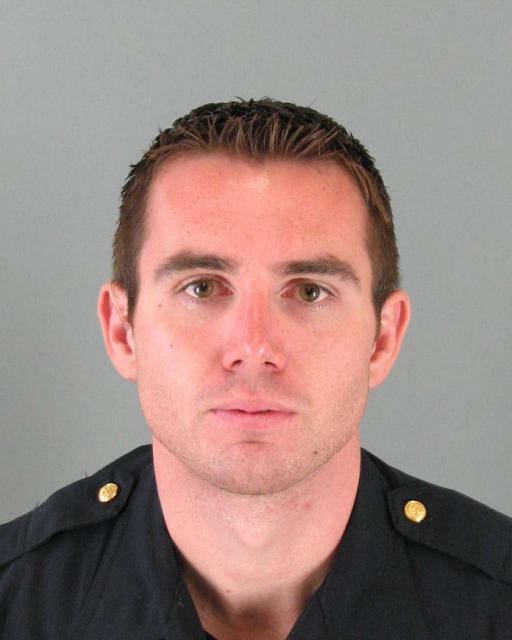 San Francisco police Officer Adam Shaw, 28 (photo above), a six-year veteran of the force who works out of the Mission Station, is recovering and in good spirits today at San Francisco General Hospital after he was shot in the left shoulder near the 1300 block of Florida St. around 2:45 p.m. on Saturday, according to police. He underwent surgery after the shooting, police said. The shooting happened after officers responded to a report of malicious activity near Garfield Square. Shaw and his partner drove up to the area in their marked patrol car and pulled over a vehicle that matched the description of the car involved in the activity, police said. Both officers got out of their car and Shaw approached the suspect vehicle and began to talk to the driver, but the driver suddenly backed up toward the officers and Shaw’s partner opened fire, according to police. It was at that point that Shaw suffered the gunshot wound, police said. Police initially said Shaw had been shot by the suspect, but said this morning that it is possible Shaw was shot by his partner. The bullet that hit Shaw has not been recovered and investigators were not able to speak with him over the weekend, according to police. “Without recovering that bullet, it will be difficult to determine which firearm discharged that specific bullet,” police Officer Gordon Shyy said in a statement. Shyy said San Francisco police are issued .40-caliber cartridges for their firearms. “At this point in the investigation, we can’t say conclusively who shot Officer Shaw,” he said. The bullets shattered at least one window of the suspect’s car but it appears the suspect was not hit by the gunfire and was able to accelerate away, police said. The driver, later identified as 50-year-old Jeffrey Miguel Ruano, got away and the car he was driving was found abandoned in Daly City shortly after the shooting, police said. He was then spotted at about 11 p.m. in a white sedan in Richmond, where officers tried to pull him over, police said. Ruano, who had two females in the car, refused to stop, leading authorities on a high-speed chase from Richmond to Danville to San Jose, according to police. He was eventually taken into custody early Sunday morning at McKee Road and North 33rd St. in San Jose. At the time of his arrest, he had a .38-caliber cartridge in his pants pocket but did not have a gun in his possession, Shyy said. His two female passengers were questioned and released, police said. Ruano was arrested on suspicion of assault with a deadly weapon, ammunition possession, driving in excess of 100 mph and evading officers, according to police. In 1997, Ruano, then a 34-year-old Daly City resident, was arrested by Daly City police after leading authorities on a high-speed chase that started in South San Francisco when he was spotted in a stolen car. The chase went onto Interstate Highway 280 and Ruano, who was speeding at more than 100 mph, lost control near Westlake Avenue in Daly City, authorities said. He got out of the car and ran across the overpass on foot. 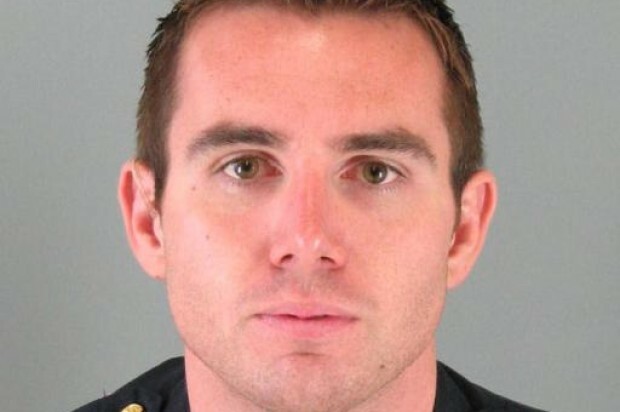 He was caught by Daly City police officers, who found narcotics in the stolen car. San Mateo County District Attorney Steve Wagstaffe said today that following that arrest, Ruano was convicted in San Mateo County Superior Court of five felony offenses including evading, car theft and drug possession. He was sentenced to 11 years and four months in county jail, Wagstaffe said.